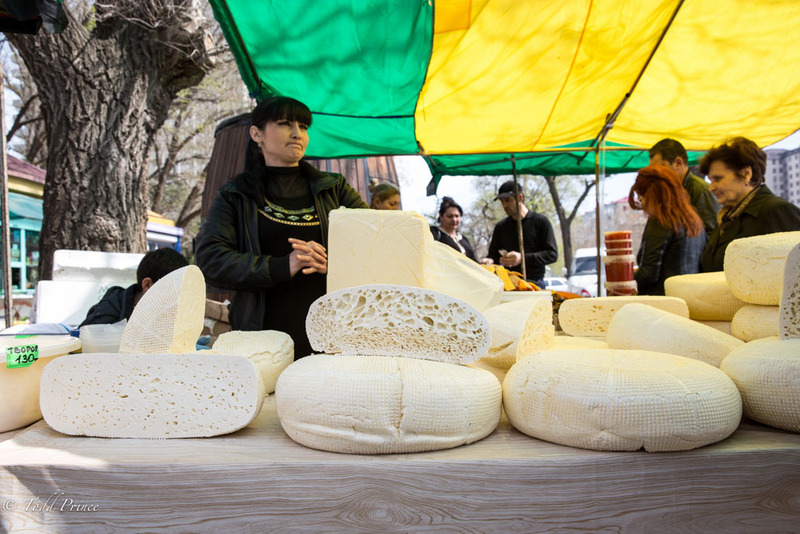 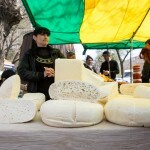 A woman selling cheese at an outdoor market. 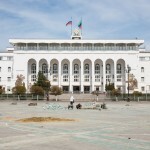 Workers fixing up the main square in front of the government buildings ahead of the May 9 celebration. 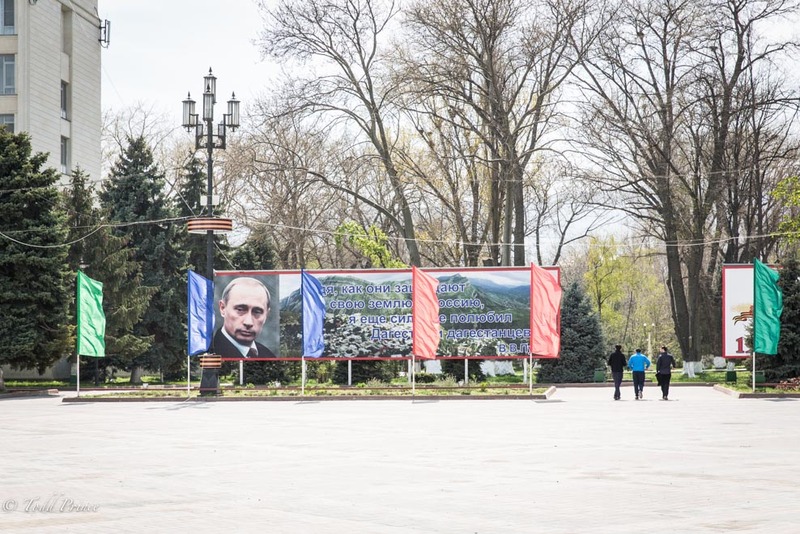 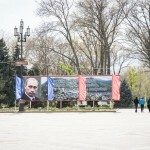 A photo of Vladimir Putin on the main square near the regional government buildings. 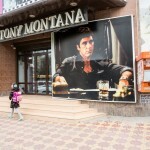 A Dagestani photojournalist outside a popular cafe chain. 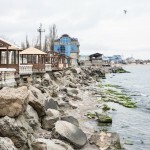 The Caspian shoreline near the center of Makhachkala. 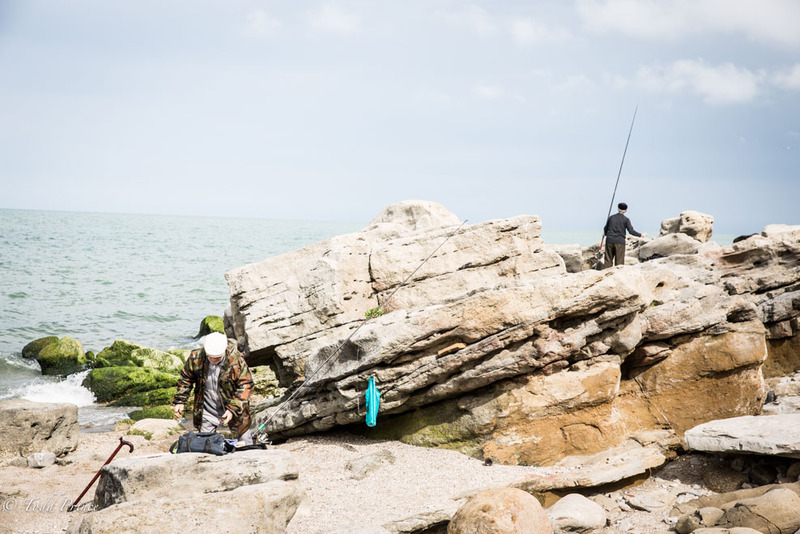 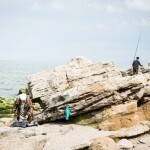 Fisherman on the rocks near the center of Makhachkala. 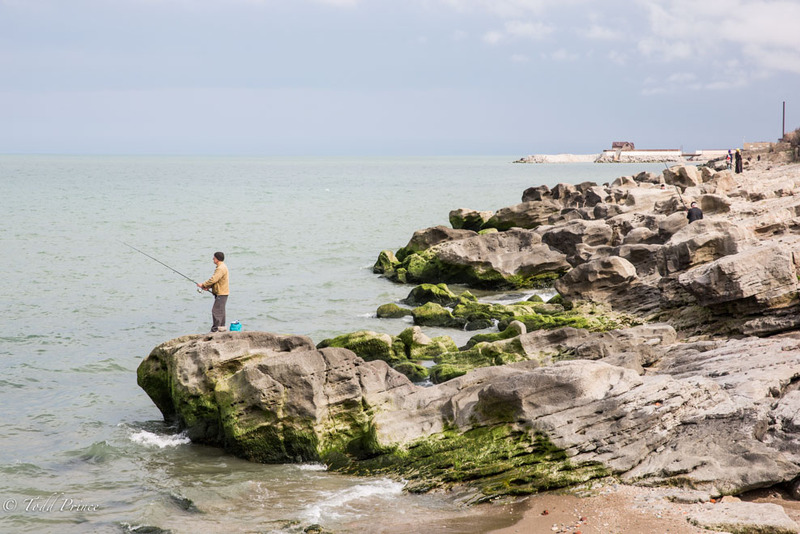 A fisherman near the center of Makhachkala. 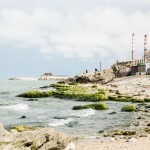 The train tracks run close to the shore. 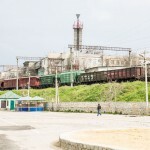 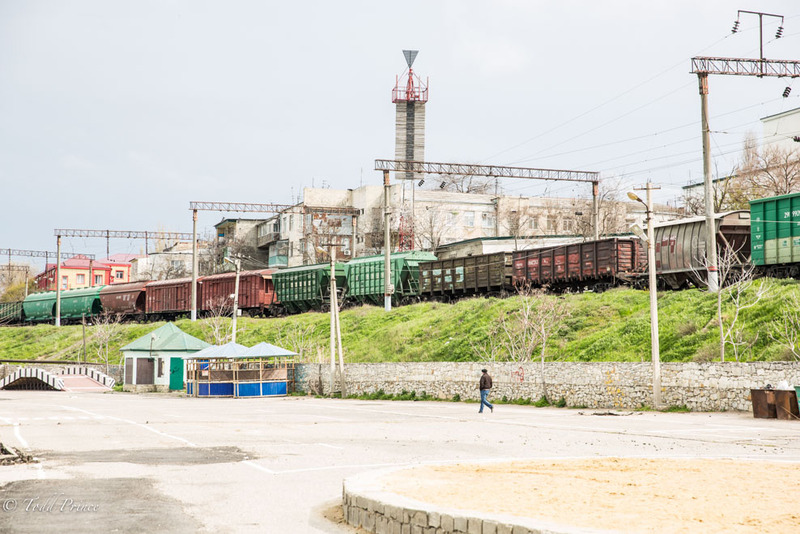 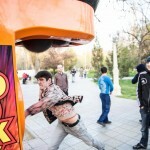 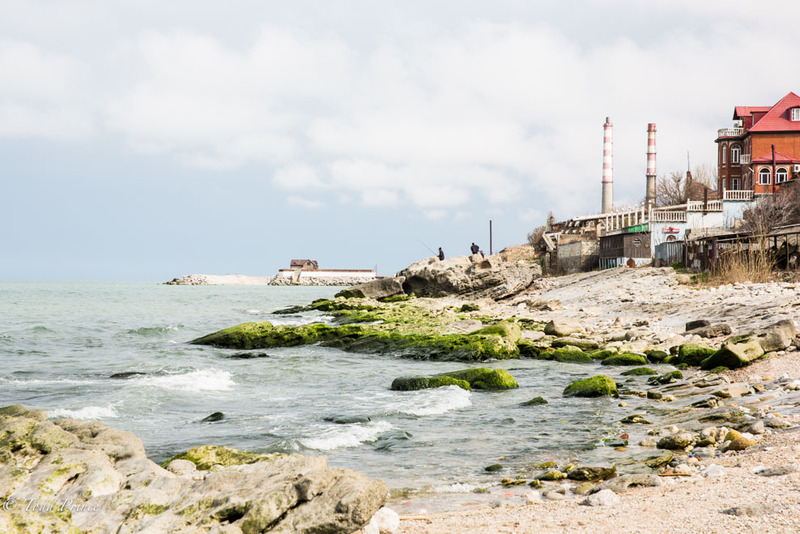 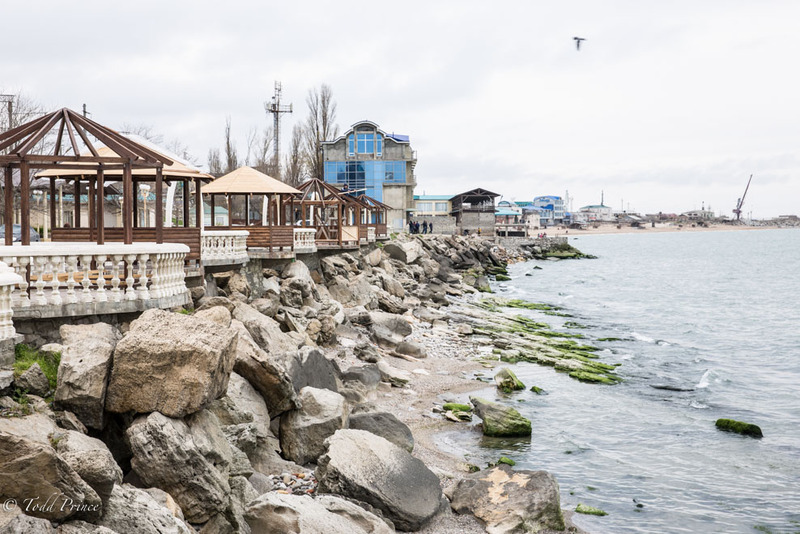 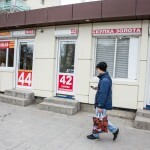 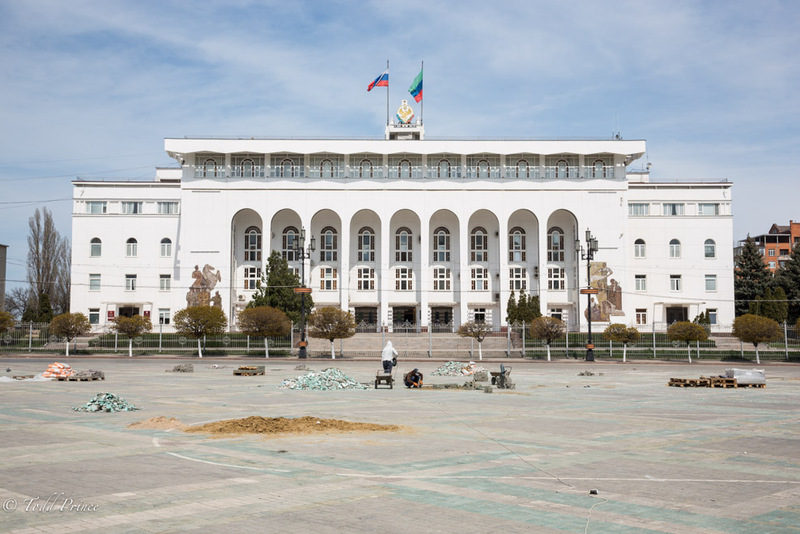 Makhachkala’s Caspian seaside needs an upgrade to attract private investment. 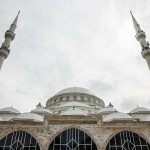 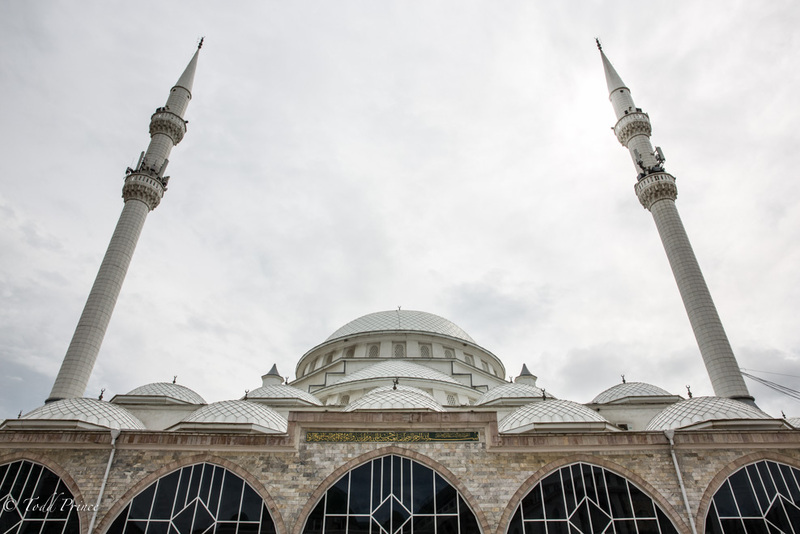 The main Mosque in Makhachkala. 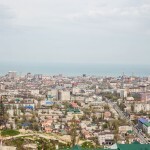 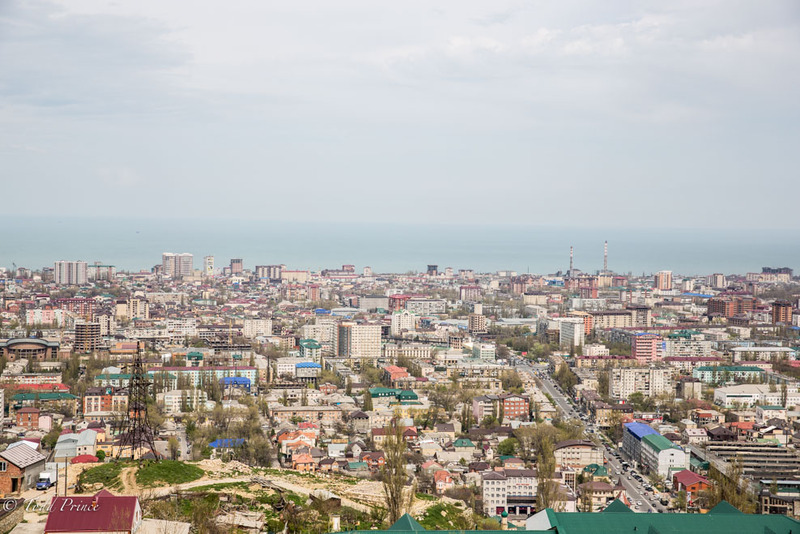 A view of Makhachkala from the hills. 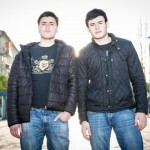 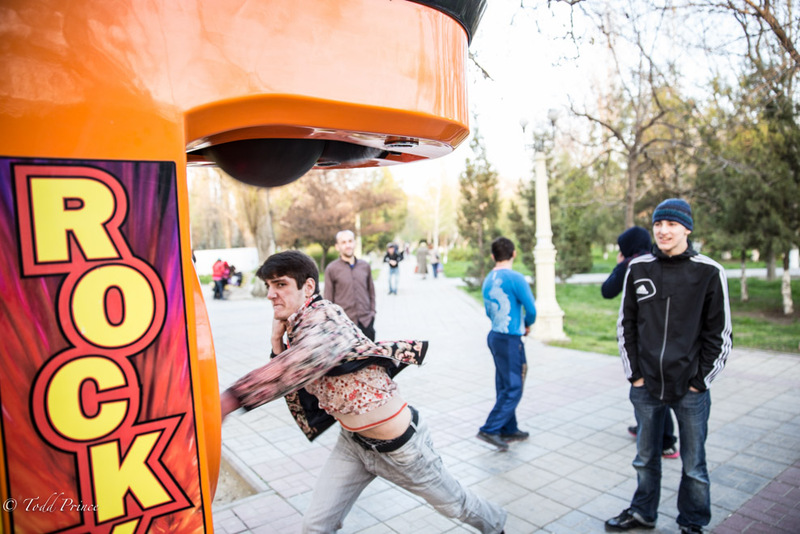 Boxing is popular among Dagestani youth. 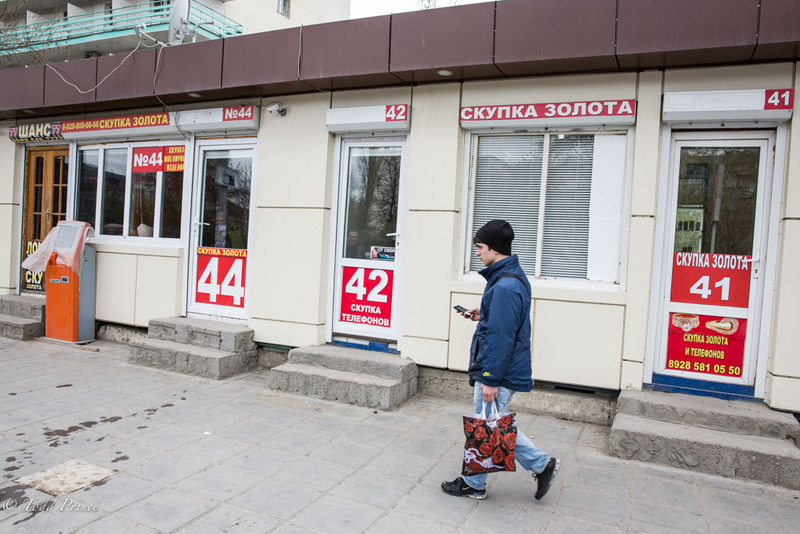 Pawn kiosks take up entire streets, which also raises questions about housing affordability. 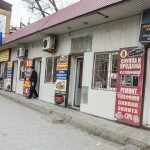 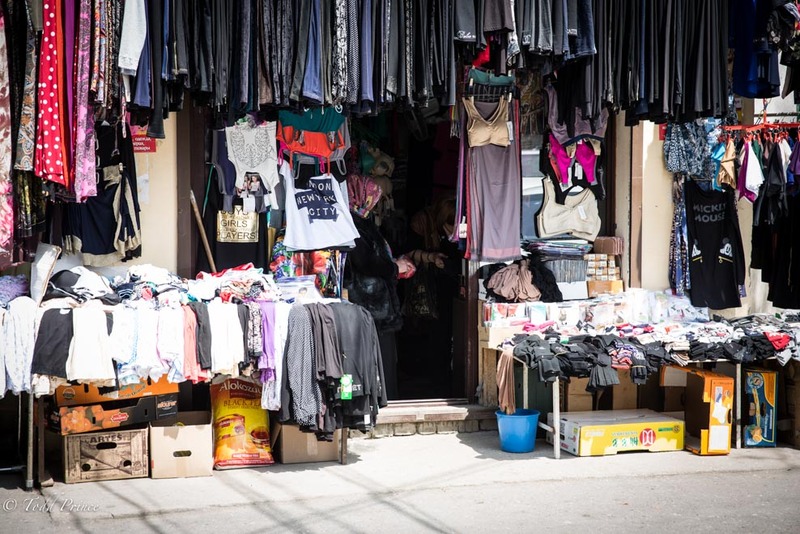 There seem to be nearly 100 pawn shops situated in a narrow part of the city. 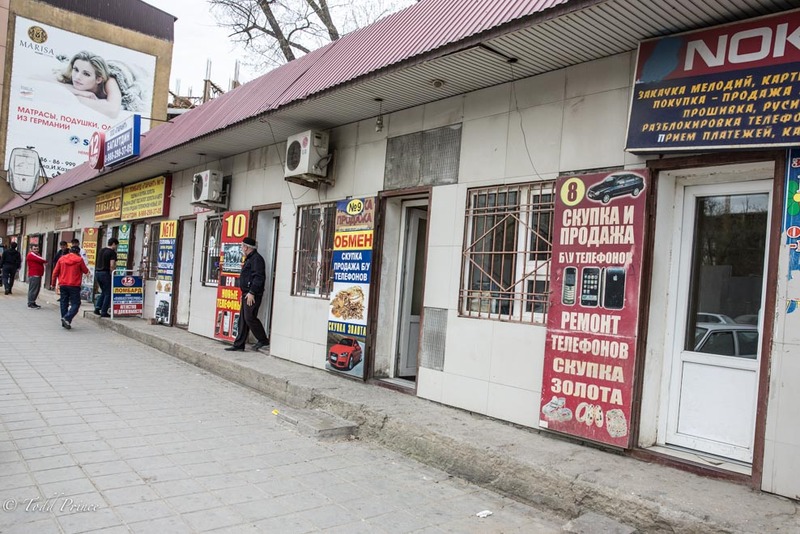 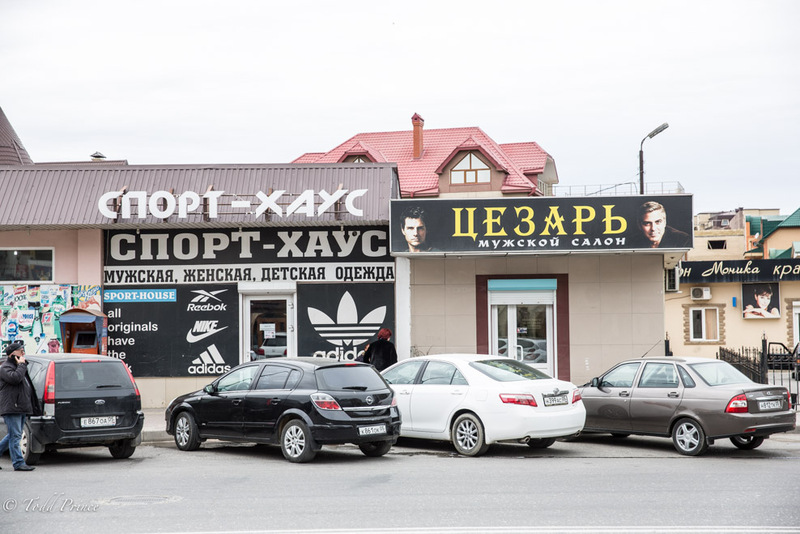 Intellectual property rights are not well respected in Dagestan, where you can find stores named after Russian and global chains. 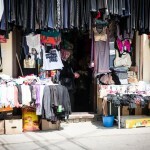 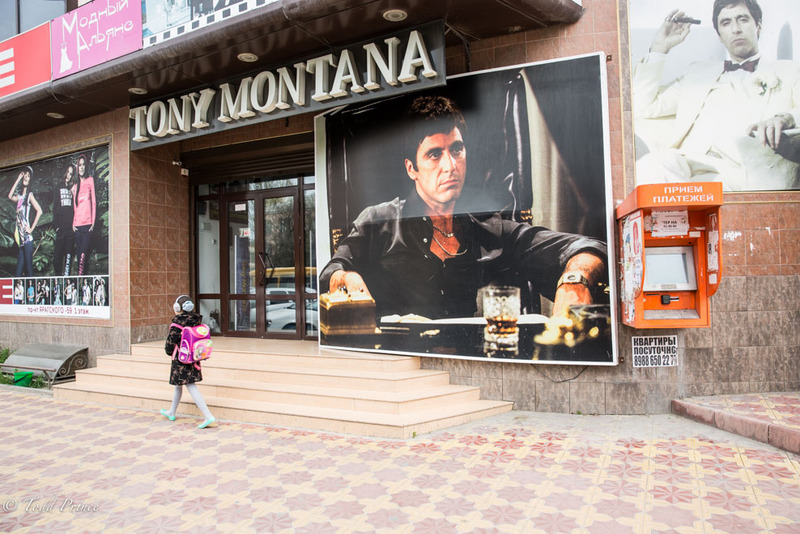 A young girl walking by a men’s clothing store named after a Italian mafia character played by Al Pacino. 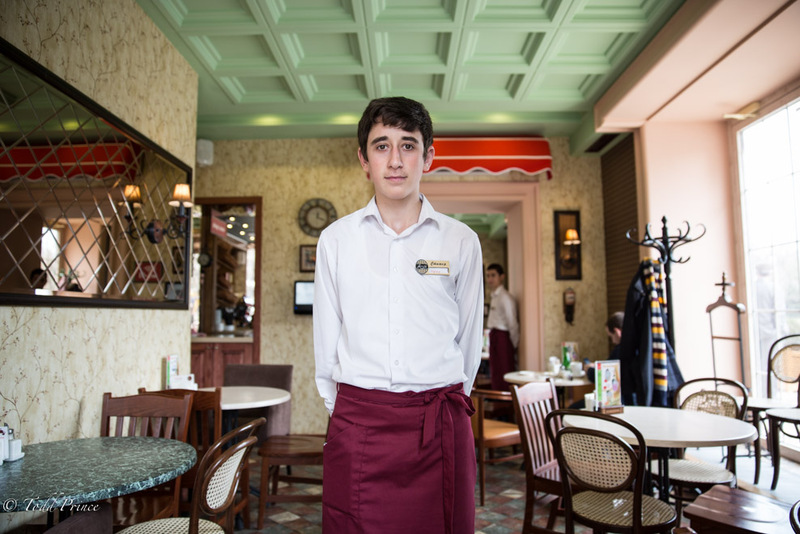 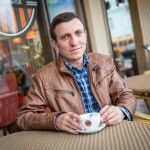 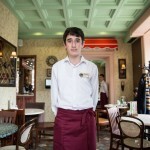 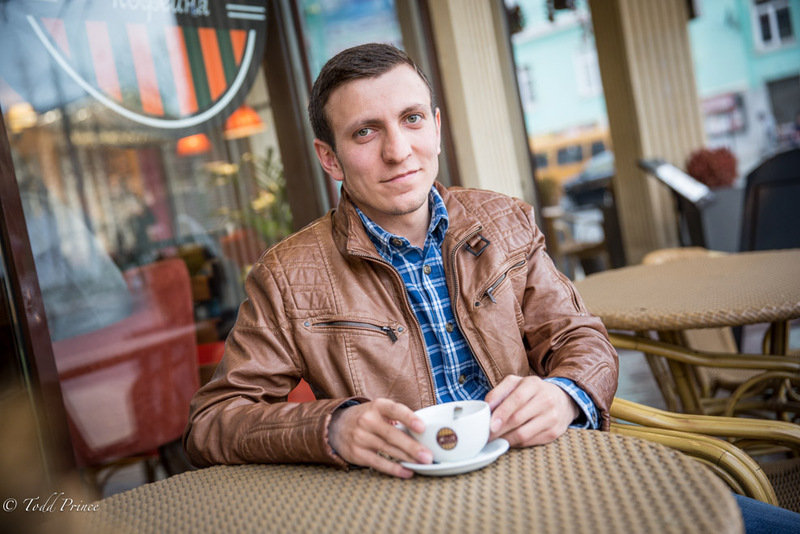 A waiter at a fashionable coffee chain in Makhachkala. 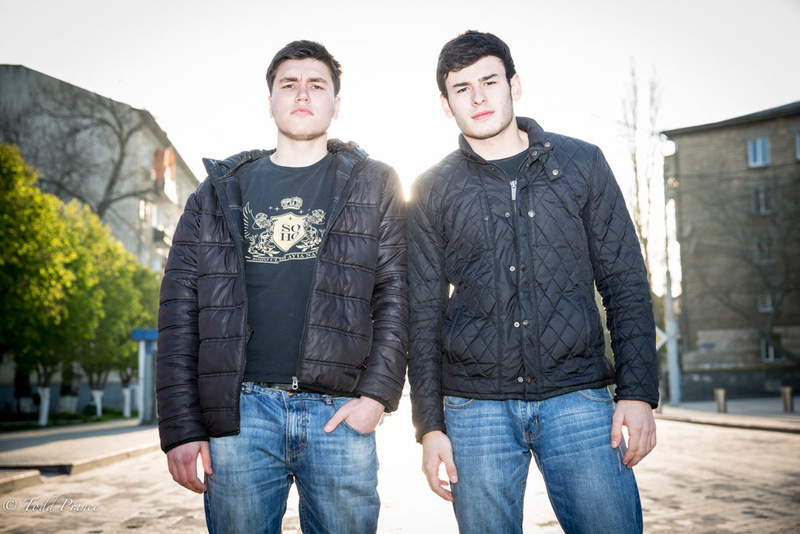 These two said they were wrestlers, a popular sport in Dagestan.